September 18, 2017 – A new study has demonstrated the potential to use digital holographic microscopy (DHM) to detect microorganisms and evidence of life in water collected from the plume rising from the surface of Saturn’s icy moon Enceladus. The cell detection capabilities of DHM and what may be learned from studying molecules obtained from Enceladus are discussed in articles published in the September issue of Astrobiology, a peer-reviewed journal from Mary Ann Liebert, Inc., publishers . These articles are part of a Special Collection on Enceladus that is available free on the Astrobiology website. Senior Editor Carolyn Porco, PhD, the imaging team leader for the Cassini mission at Saturn and a visiting scholar at the University of California, Berkeley, organized this special collection of articles on Enceladus, which offers a wide-ranging look at “that little moon at Saturn with the big possibilities” as NASA’s Cassini mission comes to an end. 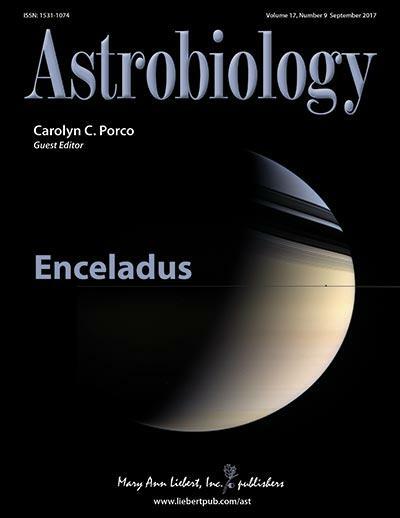 “The papers in this collection offer a glimpse into the state of a rapidly changing subject at one moment in time… as the Cassini mission draws to a close and we are contemplating the next steps in the exploration of Enceladus,” said Dr. Porco. In the article “Digital Holographic Microscopy, a Method for Detection of Microorganisms in Plume Samples from Enceladus and Other Icy Worlds ,” coauthors Manuel Bedrossian, Chris Lindensmith, and Jay Nadeau, California Institute of Technology, Pasadena, describe a light-weight microscope that collects both frequency and spatial information and can distinguish between particulate matter, like bits of rock, and dead microbes. With its video recording capabilities that would allow detection of motility as well, such a device could provide definitive, visual evidence of life beyond Earth.